National FFA Convention is just around the corner! Find out about the Teach Ag Signing Events, what is happening at the NAAE and CASE booths, and which DuPont Agriscience professional development workshops will be offered at this year's convention and expo. All this and so much more in the October edition of News & Views! The Letter of Intent Signing event is an opportunity for students at the National FFA Convention and Expo to declare their future as an agriculture teacher! The signing event is open to high school seniors planning to major in agricultural education and teach agriculture as a career, or current college students transferring to study agricultural education. Follow this link for more information and to sign up today! Please direct any questions to Elisa Russ, the National Teach Ag Campaign Intern, at emruss@iastate.edu. Congratulations to this year's selected XLR8 participants. Follow this link for more information about this professional development program and to see who was chosen this year! The Nebraska Department of Education, in partnership with Vivayic, is pleased to provide a Food & Nutrition Science curriculum training opportunity. The Food & Nutrition Science Institute will provide a four-day curriculum training in Lake Geneva, Wisconsin. Participants will have full access to revised and refreshed curriculum upon completion of the training. For more information follow this link. Presented by Zoetis, the Veterinarians on Call YouTube channel features real-life vets doing a variety of tasks. This week, Dr. Rob Farruggio of Wisconsin ultrasounds cows and through his binoculars sees the fetus of a baby cow. Click here to watch the video. If you haven’t already, download our free mobile app to help you plan your experience at the 90th National FFA Convention & Expo. Filled with interactive maps, an extensive schedule, exhibitors and – new this year – a complete guide to downtown Indianapolis restaurants and attractions, the app is a must-have for all attendees! If you downloaded the convention mobile app last year and did not delete it, your phone should automatically update. Otherwise, search for it on the Apple App Store or Google Play – “FFA Convention” or “FFA app” should find it. Apple users: Be sure to install the sticker pack for a cool assortment of FFA images and emojis that you can send via text message. Check out free planning tips, tools and lesson plans available this month. Visit the Explore webpage to find a new supervised agricultural experience lesson about biomedical research, a lesson on careers at ADM, and step-by-step guides for various FFA educational resources. Head over to the Build webpage for a great educational resource from Journey 2050 and important safety information to know during the National FFA Convention & Expo. On the Connect webpage, you will find a current event worksheet and article about AgCo Innovations in Manufacturing With Glass; information about the Living to Serve Day of Service Mini-Grants; and career opportunities. Don’t forget to incorporate AgExplorer using the implementation guide with lesson plans on the Explore webpage and be sure to look through past months’ ideas in our Archive. The 2017 SAE Grant application is now open. Supervised agricultural experiences (SAE) are a core part of agricultural education. Thanks to our sponsors, 152 SAE Grants worth $1,000 each are available this year to help FFA members start or expand an SAE.To apply, members must log in to their FFA.org account. The application can be accessed through the Application Center; click Open Your FFA Dashboard on the top right of the website and select SAE Grant in the Apply Now toolbox. This link will take you to the Application Center, where you can access and complete the grant application. You can also access the application from the SAE Grants webpage (or from the FFA.org homepage, select Participate then Grants & Scholarships, then SAE Grants). If you are an AET user, you can access the application from the AET website by clicking on Reports then Degree/Application Manager, then selecting SAE Grants from the drop-down menu.Applications are due online by Nov. 15, 2017, at 5 p.m. PT. SAE Grant recipients will be announced in late December this year. Contact Brett Evans, SAE education specialist, at bevans@ffa.org or 317-803-4233 for questions. It’s no secret that the heart of FFA is at the local level. Joshua Rusk, executive director of the National FFA Alumni Association, focuses on the purpose, function and structure of the local level—where we truly grow leaders, build communities, and strengthen agriculture—in the October issue of FFA Alumni Leader 2 Leader. Be sure to share this important newsletter, packed with alumni news you can use, with your advisors and alumni. On-site, applications will be accepted as part of the Society of American Foresters (SAF) Convention at the DoubleTree Hotel, 201 Marquette Ave NW, Albuquerque, New Mexico. The application time-frame is from noon to 6 p.m. on Wednesday, November 15, 2017, and from 9 a.m. to 1 p.m. on Thursday, November 16, 2017. Convention registration is not required to apply. Join us for a Tips for Job Seekers webinar where we will discuss the USAJOBS application process. You will gain helpful hints and get your questions answered by Forest Service employees. 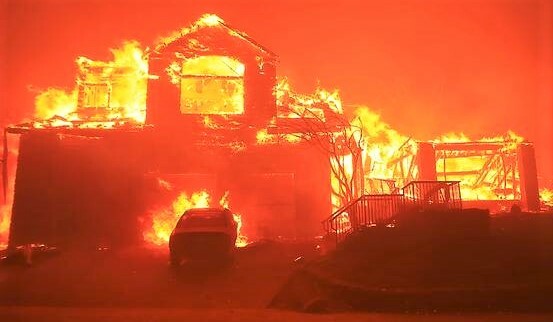 Raging California fires are affecting people, neighborhoods, and agriculture. Friday, October 13, 2017: Wildfires ravage California wine country; the World Food Prize laureate talks about ag, tech, and youth; and a dragonfly becomes a drone. Check out these and many more ag/science stories.